Marisha Auerbach has been practicing, studying, and teaching permaculture in the Pacific Northwest for the past decade. As an itinerant permaculture designer, Marisha calls the greater Olympia area home, especially the Wild Thyme Farm, a 150 acre permaculture demonstration farm and FSC certified forest in the northern Willapa Hills. Marisha encourages sustainable futures through sharing knowledge with others on a variety of topics including: permaculture, polyculture gardening, flower and gem essences, local economics, community building, ethnobotany, herbalism, edible landscape design, and organic gardening among others. She is enthusiastic about creating forest gardens and building local community as a response to peak oil. Marisha's interest in local economics and creating useful items using her resources has manifested as several projects: past work on local community marketplaces in Olympia, Queen Bee Flower and Gem Essences, Herb'n Wisdom for permaculture consulting and herbal products, and Growing Greetings which produces plantable greeting cards and other products. Marisha has a small plant nursery which focuses on edible flowers and other gourmet specialty food items. 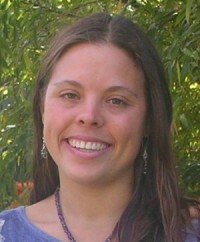 Marisha graduated from the Evergreen State College in 1998 where she focused on ethnobotany, ecological agriculture, and sustainability studies. She continues to interact with students from the Evergreen State College by offering internships. Please contact Marisha if you are interested in hearing more about her workshop offerings.